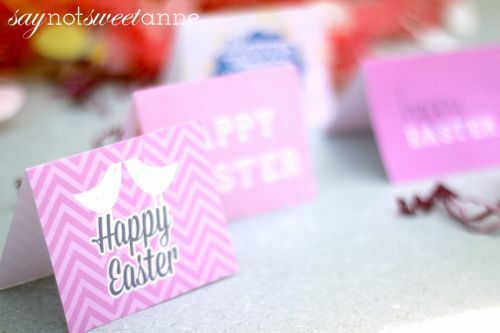 Printable cards are always some of my favorites because anyone feeling a bit last minute can come up with something that seems sweet and sincere. Bonus, these cards come with matching envelopes. So everything you need is right in the template! 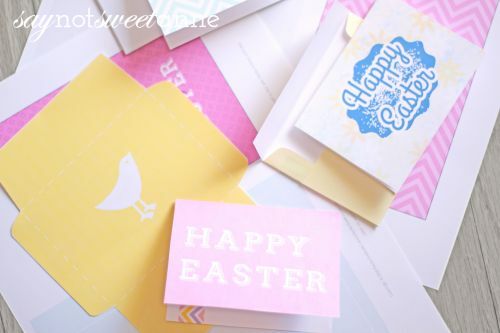 Use them in Easter baskets, tuck them in church pews, or even just print a few to decorate your office cubicle. They’d make really adorable placeholders for an Easter dinner too! Who do you celebrate Easter with? For us, it always means a trip to my Grandma’s house and an Easter egg hunt for the little kids. Lately I’ve been trying to find a way to get my little kiddo less candy without taking away all the fun. I’ve found stickers and stamps make a great surprise for him – and he’d love to use those on these little cards! They are pretty mini in size, perfect for little hands. 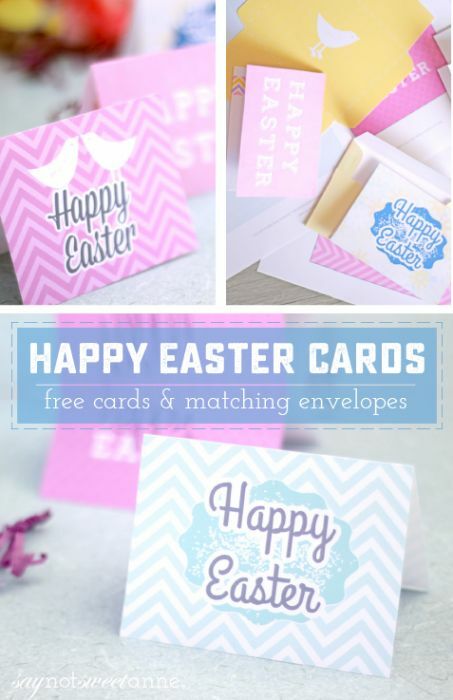 Grab the printable Easter cards below, and start a tradition of kind words this year!